For those who may not know, the normal population of Panama City is 880, 691 people. 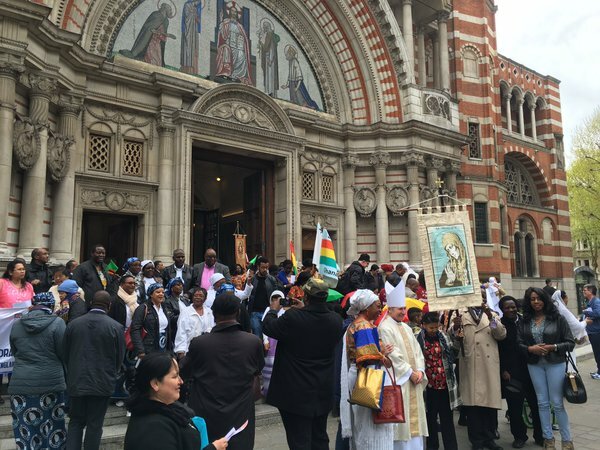 However, from 22-27th of January this year that number nearly doubled as young people from all over the world descended upon the capital for World Youth Day 2019. 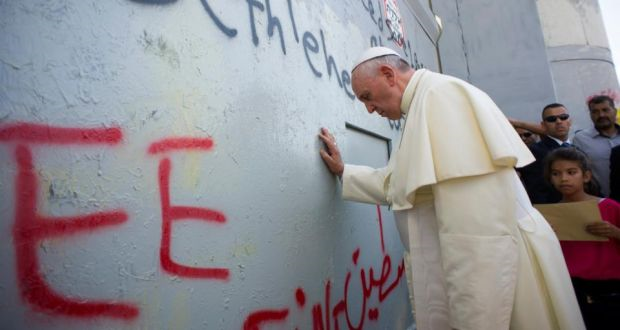 Among the young people were priests, bishops, religious brothers and sisters and, most importantly, Pope Francis himself. 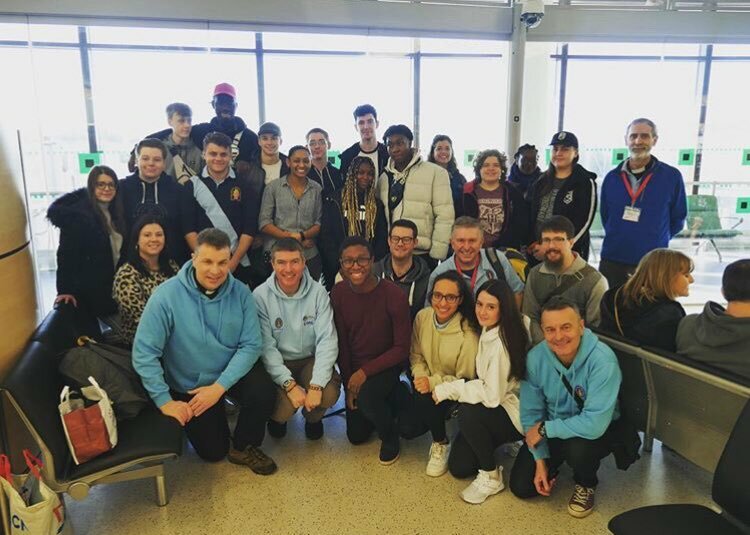 The Brentwood Catholic Youth Service had travelled out a week earlier to take part in the “Days in the Diocese” in the bordering country of Costa Rica. Our young people stayed for a week with host families – amazing people who had opened their homes for us to stay in while in Costa Rica. My host family were honestly amazing and the kindest people I’ve ever met! On arrival I was told that I was their new son and they my parents while I stayed! They made me feel as welcome as possible, giving so much from washing my clothes to rebuilding their shower to fit the 6ft6 giant they had welcomed into their home! They became family to me very quickly and it was so sad to say good bye after just four days as the group of 35 of us travelled for 20 hours by coach to Panama where the events of World Youth Day would take place. Panama City is an incredible mix of old buildings from its time under Spanish and American rule, and stunning modern structures such as skyscrapers and streamlined tube trains (which were extremely useful for travelling to events!) 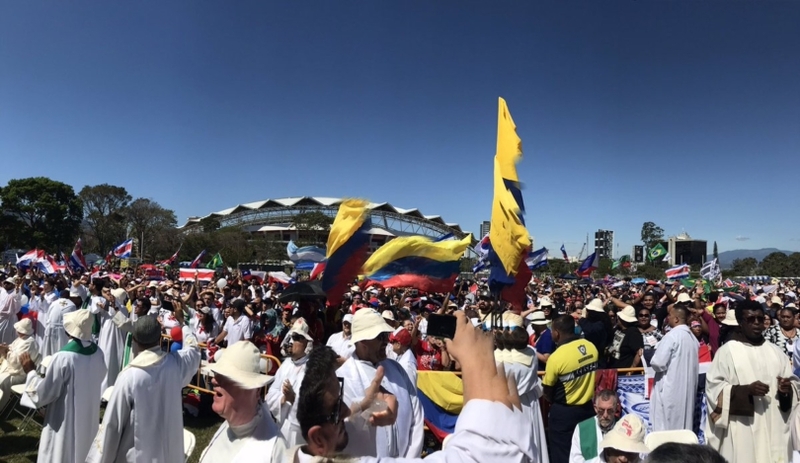 Over the weekend of World Youth Day we attended the opening liturgy which was overseen by the Archbishop of Panama City, and attended by people from every nation, walk of life and background. We ran into Australians, Mexicans, Brazilians and even a small group who had travelled from Syria!!! Next up was a couple of days spent at catechesis lead by different English speaking bishops, including one led by our very own Bishop Alan where he spoke about his own journey and answered many questions sent in via WhatsApp from curious young Catholics. After a couple of days Pope Francis arrived in Panama City for the opening Mass and the Stations of the Cross, both of which were incredible experiences. The Stations of the Cross included beautiful dramatic dances to demonstrate the pain, emotion and sacrifice that would have been felt and seen during Jesus’ crucifixion as well as prayers for social justice issues and difficulties faced by the local South and Central American countries. After these it came to the closing event in the field of St. John Paul II, with over half a million young people all staying there overnight. Bishop Alan was also one of only five bishops to stay with their group camped out on the field. We took part in a time of Adoration and reflection. With the large number of people you would expect some noise but, instead, it was beautifully silent as everyone looked to the Blessed Sacrament. The following morning after a loud (and, for some, unwelcome!) wakeup call at 6.30 we started to get ready for the final Mass with Pope Francis, where he preached that, as young people, “we are not just the future of the Church, we are the present as well”. 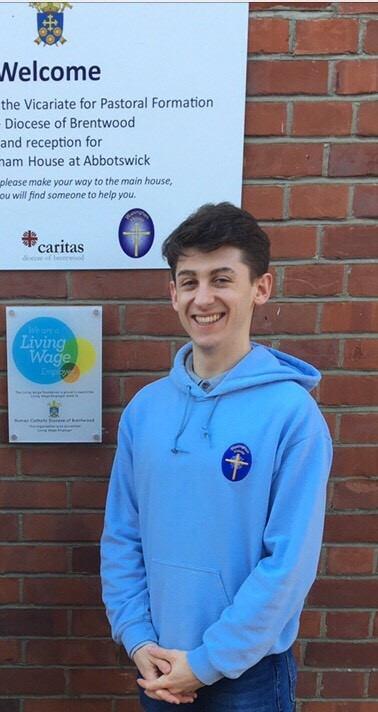 The next World Youth Day is in Portugal, Lisbon, and I encourage others to go and try it for themselves. For me, it has been the chance to change so many things and open so many new doors in my life and faith, and I hope it can do the same for others.